EuroMedica Sinutol EM uses an exclusive blend of eucalyptus oils that support sinus health and maintain clear bronchial passages. Improves mucous drainage by enhancing sinus cilia activity. Provides sinus relief without the use of stimulants. Eucalyptus has long been studied and is indicated to support sinus health and maintain clear bronchial passages. 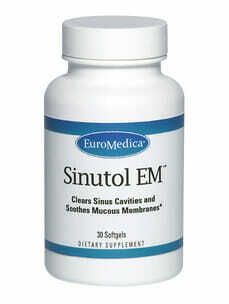 Sinutol EMTM enhances sinus cilia activity to help improve mucous drainage, and supports a healthy inflammation response. This unique combination of eucalyptus oil and myrtle oil helps provide soothing relief and may be highly effective for all respiratory functions. Exclusive blend of Bio-Typed oils of eucaplyptus and myrtle to support the bronchi, lungs, sinuses, and entire upper respiratory function. Supports a healthy inflammation response, respiratory environment, and sinus drainage. Not a stimulant – safe for individuals with heart or blood pressure concerns. 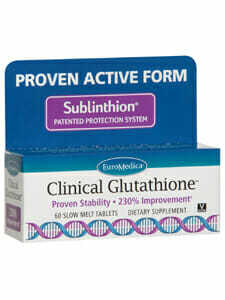 Contains no: sugar, salt, yeast, wheat, gluten, corn, soy, dairy products, artificial coloring or preservatives. 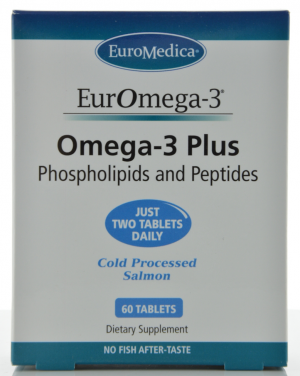 Use 1 to 2 softgels three times daily, or as recommended by your health care practitioner.